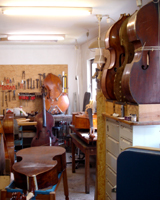 Double Bass Point Viersen - Double Basses & Co.
A guest room ......especially for foreign and far travelling customers who often suffer under time stress. This creates a relaxed and calm atmosphere which is essential for an effective trial period during the stay. As being a bassist myself I am able to present you all instruments and bows playing, so that you can judge their quality also from distance. Massive student instruments in reasonable quality always on stock, simple starter instruments by special request only, expert setup guaranteed! How can I oder products ? Prices on request by Email - Please click here ! Fine hand made double bass with solid spruce top and birdeye maple for back and ribs, quality mechanics. 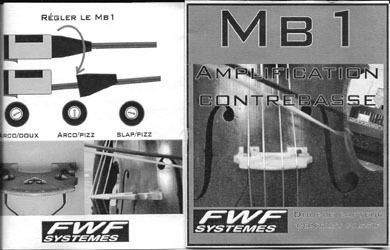 Good allround instrument for Jazz, classical music or other..., good response, full sound and good projection! Very healthy bass in mint condition, suitable for orchestra or Jazz, warm fullbodied tone, good response and projection. 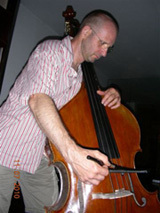 Nice old Solobass from the Austrian-Hungarian region. Fully restored and revarnished. 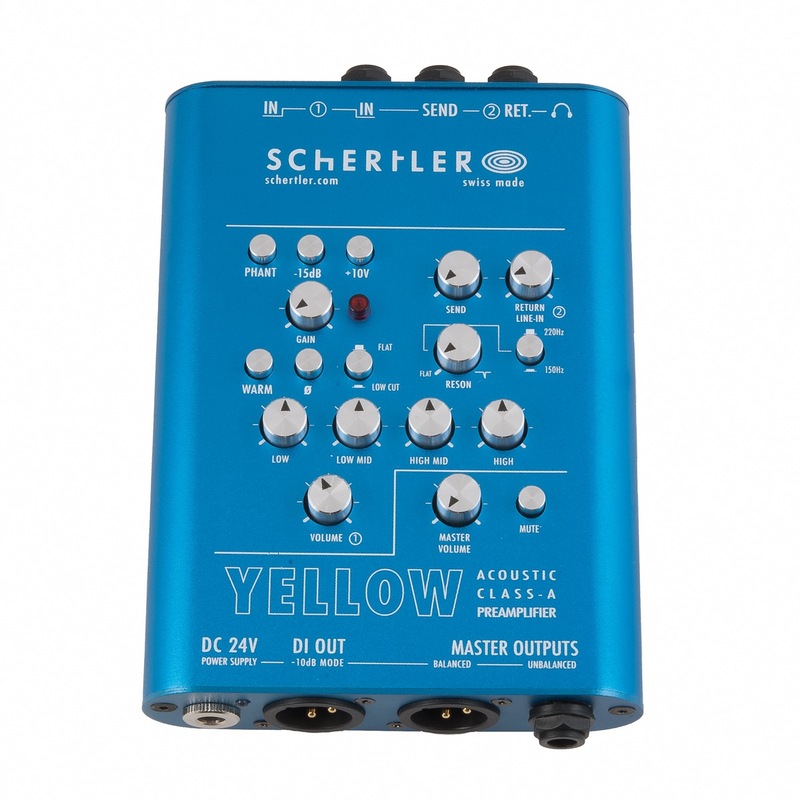 Suitable for Jazz, Chamber Music and Solo, direct and full bodied tone with good projection! 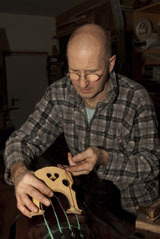 Carries a Signature on the front plate under the fingerboard: "Made & Sold at Wm Forster's Musical Instrument Manufactory, 22 Yorkstreet, Westminster." very beautiful and nice sounding bass in good condition, a real eye catcher and charmer for your ears. Warm deep and big tone with plenty of sweetness, very easy response !!! 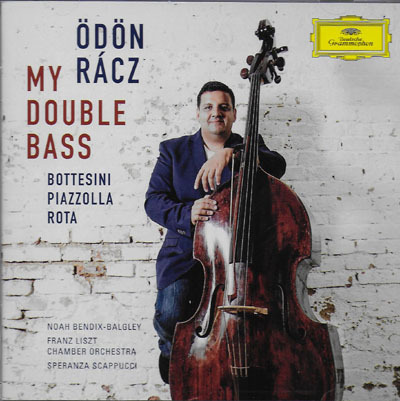 Very nice Solobass with delicate tone and precise projection on long distance. Very good condition and easy to play! Solid allround bass with powerful tone, very easy to play! 3/4 4-S Solo-Model, handcrafted by Tomas Burian/ Ostrava 2010. Very loud solo bass with strong tone, comfortably to play! 3/4 4-S Solobass (inspired by Charles Quenoil), originally handcrafted by Tobias Pöhling, generally revised in my workshop. Comfortable solo bass, easy to play! Nice bass in excellent condition, solid instrument for solo or Jazz, warm sound with good response and projection! Typical model of this time period from Markneukirchen. Fully restored and with optimum setup. 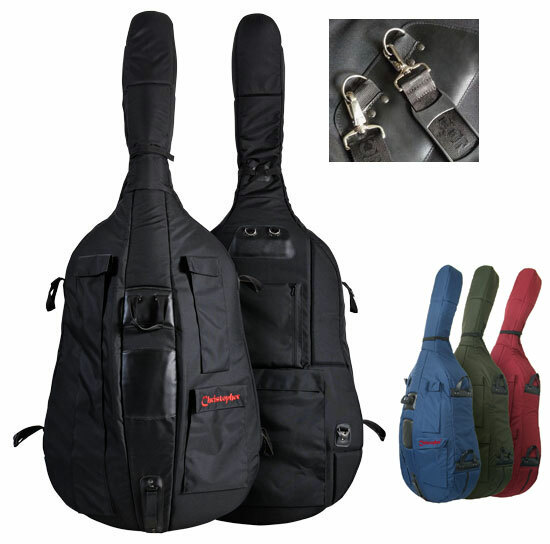 Suitable for any kind of music, Jazz, Chamber Music, Orchestra or Solo. Strong carrying tone and good responsewith combined with excellent projection. Classy traditional Mirecourt bass with smooth carrying tone, warm balanced sound and easy response. The playability is despite the long scale still quite easy. Good condition. 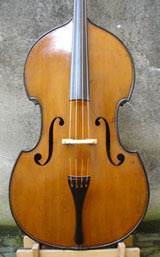 Typical Mirecourt Bass from the end of the 19th century, totally restored. Well definated tone with good response in all registers. Nice well working 5-stringer with big tone and easy response, good condition without any serious old cracks. Fine 4-string bass with great carrying tone, warm balanced sound, easy response. Very good condition. Fine 5-stringer with great carrying tone, warm balanced sound, easy response. Very good condition, no cracks. This instrument was regularly inspected in the Grünert work shop! 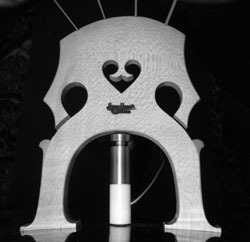 High end electric upright bass of our recent production, fitted with a Wilson K1 and active electronics. Great sound and easy playing in arco and pizz, silent rehearsaling without amplification possible. 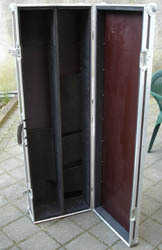 Safe and comfortable transport with the custom designed flightcase ! 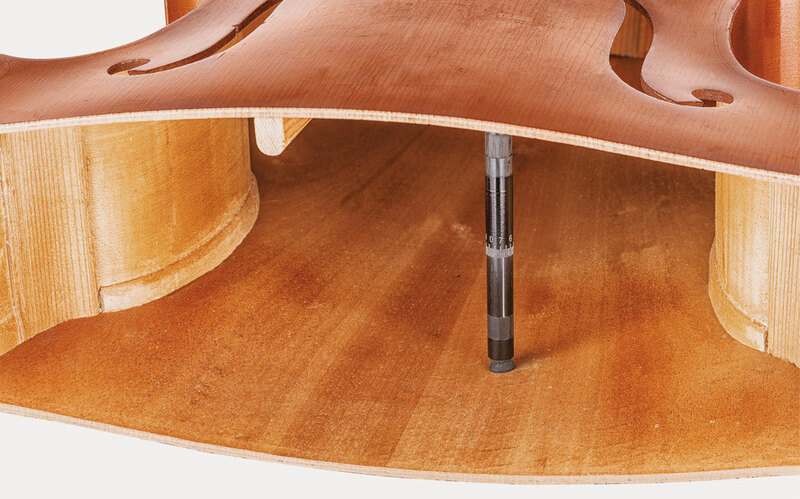 This bass trunk comes originally from the Gürzenich-Orchestra in Colgne, made in the 1960s. Stiff original construktion which has been fitted with diverse supplementary foam and paddings. Something for nostalgic people who like to store their instrument safely and decorative. Each bow has been carefully revised by our bow maker and is fitted with new hair. 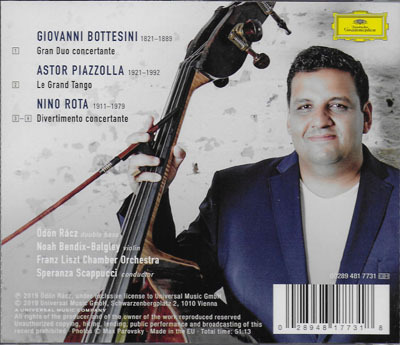 Markus Fischer, stamped J.S.Finkel/ Edicson Ruiz - Der goldene Bogen 2012, Gold mounted, very good solo bow! Otto Dölling, octogonal stick silver mounted, very good condition! ***Günter A. Paulus*** nickel silver mounted, good original condition. Ca. 1870, restored by Michael Dölling, fine stick of superb wood, silver mounted. With certificate of origin by Raffin. W. Renz, round stick nickel mounted, good condition. Excellent solo bow! Paul Rich. Heberlein ca. 1950/60, octogonal stick nickel silver mounted, new and unplayed! 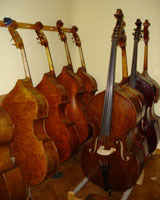 It is highly recommended to come for a visit together with your instrument, so that you can find out the bow which fits and works best for you and your bass! Being a bassist my self I am able to present you all bows playing, so that you are able to judge them also from distance. H.R. Pfretzschner ca. 1910/20 Model Ideal, silver mounted, very good original condition. H. R. Pfretzschner ca. 1930, nickelsilver mounted, very good original condition. 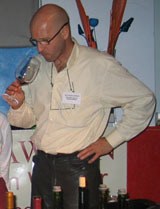 Francois Lotte with Morizot-frog. Good condition. Roger Francois Lotte, stamped "Dupuy à Paris", round stick silver mounted, good condition. Excellent solo bow! Roger Francois Lotte, stamped "Dupuy à Paris", octogonal stick silver mounted, very good condition. Excellent solo bow! Maline-school in the style of Simon FR ca. 1850, Pernambuk nickel silver mounted, very good restored condition. Prosper Colas, very good original condition. Louis Gillet ca. 1945, stamped "Dupuy à Paris, silver mounted, very good condition, with certificate by Atelier Raffin. Good solo and orchestra bow with perfect balance, contact and definition! Louis Gillet ca. 1955, stamped "Dupuy à Paris, silver mounted, very good condition, with certificate by Atelier Raffin. Good solo and orchestra bow with perfect balance, contact and definition! Louis Bazin, stamped Gautié et Fils Toulouse, nickel silver mounted, very good original condition, certificate Atelier Raffin. Morizot Freres, nickel silver mounted, with certificate by Raffin. Good orchestra bow. Ouchard Père stamped Cuniot-Hury, nickel silver mounted. Certificate Atelier Raffin. Louis Bazin, octogonal stick nickelsilver mounted, very good original condition, certificate by Guillaume. Victor Fétique, silver mounted, very good original condition. Marcel Lapierre, stamped and made for Dupuy à Paris, silver mounted, good original condition, Certificate by Raffin. Emilio Slaviero 2006, silver mounted, very good original condition, Certificate by the maker himself 2006. Charles Louis Bazin, French model with open Brasil frog and brass screw, very good original condition! Weight: 19.10 Kg - 42.10 Lib. 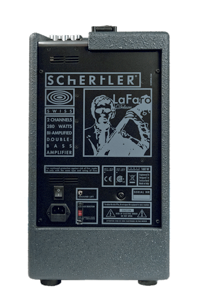 Check it out live "this reference class amp" in our shop !!! Powerpack for out door activities! 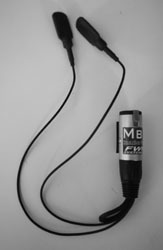 USB-exit, 3 switchable light rates and SOS-function! 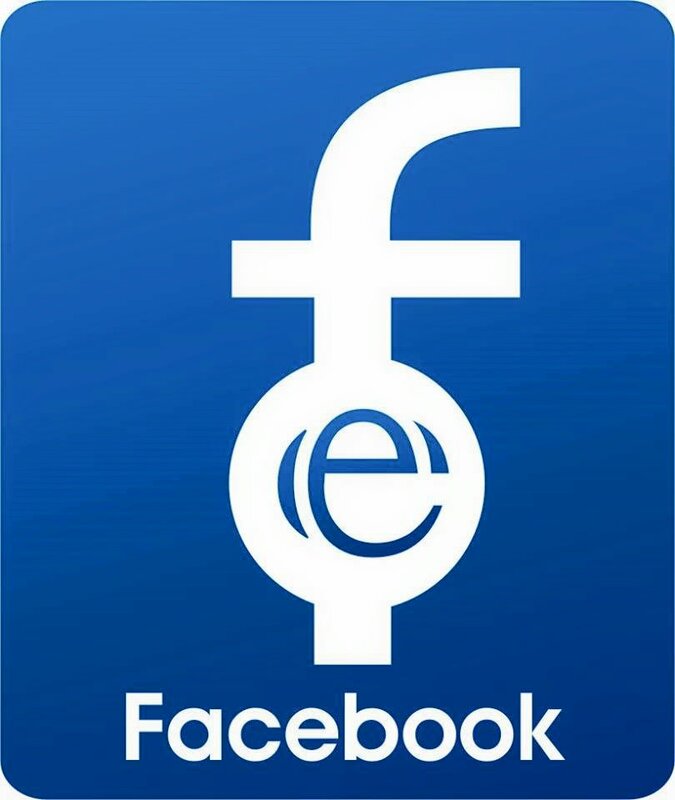 on request by Email - Please click here ! The Sommerhoff precision oil-pencil made of aluminum and is the only precision-oil-dispenser for any kind of oil including alcali oil and any other kind of fluids. The Sommerhoff precision oil-pencil dispenses finely dosed quantities dropwise. Even oils with very low viscosity cannot leak out after long terms of laying intermission. This oil pencil of highest production quality without compromises satisfies even the highest professional expectations. Especially recommended for the care of brass wind instruments but also for cleaning up resistent rosin spots on string instruments with orange oil. The usage is very easy. You can fill in ca. 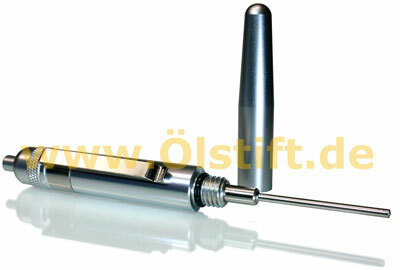 5 ml oil into the aluminium tank and dispensing the oil dropwise by pressing the button on top of the pencil.